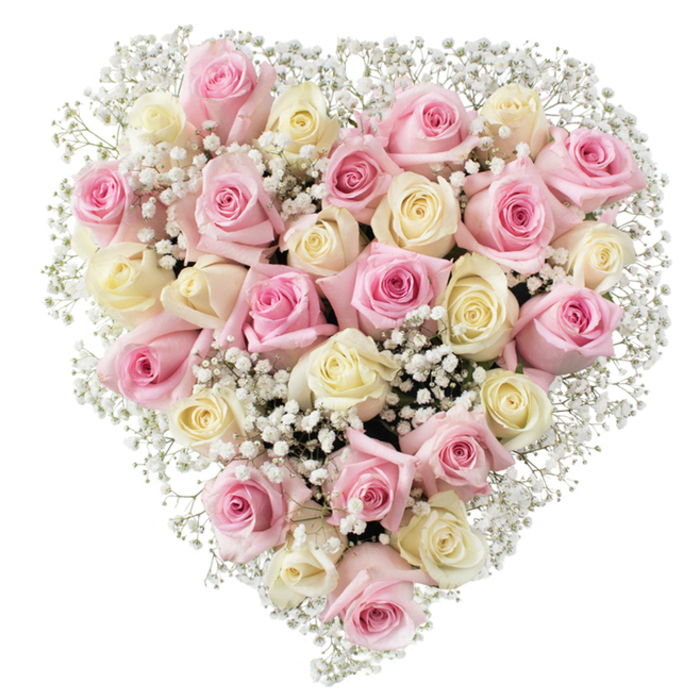 For this heartbreaking moment we offer an outstanding tribute made of pink and white roses combined with gypsophila in a heart-shaped form. With this masterpiece you can show all your love and offer your condolences to the family. 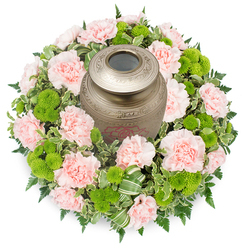 Our heart tributes are created to express your true love and sympathy, making a deeply personal statement. 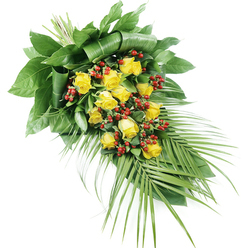 Funeral flowers etiquette suggest that you should send the floral tribute to the Funeral Home Director as sending it to the home address of the family may cause additional upset. 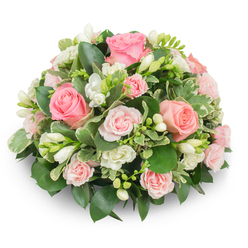 Funeral flowers deliveries to a place of worship or crematorium are also not recommended due to the fact that there is often no one available to receive the flowers. My dad would have liked the tribute. Thank you. Beautiful heart tribute. Thank you so much for such good service. I was really impressed by the quick response to my inquiry and the friendly attitude of their team. 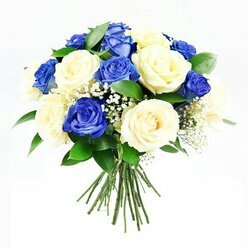 The arrangement was safely delivered to the funeral home. Flowers got delivered today and they were safe and beautiful. Very professional service. Roses were the favourite flowers of my dear friend who passed away. I'm really thankful to handy flowers for creating an amazing tribute to honour her. your help is much appreciated. Ordered funeral flowers online for the first time. The customer service team was really helpful and offered different arrangements to suit my budget. I really appreciated that. 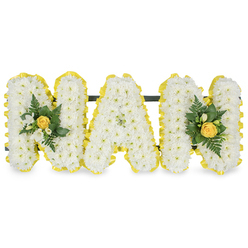 The final result was a lovely tribute with lots of beautiful flowers. 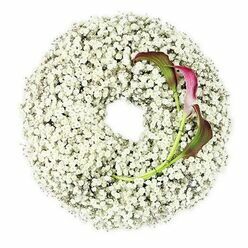 I was nervous about ordering a tribute online because I have never ordered funeral flowers online before. The entire ordering process was quick, easy to follow, and easy to understand. I was delighted when I saw what a magnificent job the florist did - absolutely immaculate. The tribute was lovelier than I could have asked for! Beautiful floral arrangements. The most remarkable tribute I have ever seen. The florist did a remarkable job on my friend's funeral tribute. I appreciate the fine work.